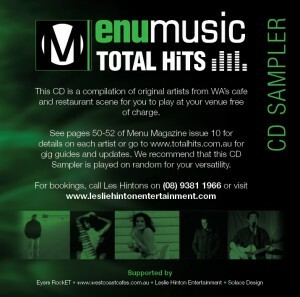 Giggy Sounds (Total Hits) and Menu Magazine are proud to present the artists who feature on the Menu Music CD sampler that was sent to cafes and restaurants around Western Australia. There were literally thousands of venues playing the CD including Red Poppy’s Cafe, Char Char Bull, Cafe Pronto, Sunbreakers, Red Manna, Catch 22, Bettyblue Bistro, The Vines, Madhatters on Milston, Ironbark Brewery, Capricci’s Restaurant, Vino Rosso, Chatters, Third Avenue, Clarke’s of North Beach, Barizzie Tapas, Cafe Del Pescatore, Mojo’s and Nova Cafe Lounge. The compilation includes two songs from each artist. For more information on these musicians look below for biographies on each one. There are two kinds of people in this world. Those who have discovered Jason Ayres. And those who are just about to. Influenced by the rhythmic pop of John Mayer, the vocal stylings of Jeff Buckley and the finesse of Coldplay, Jason Ayres is a West Australian based singer-songwriter who delivers a unique brand of acoustic based pop tunes. Constantly building his fan-base with sheer hard work and good old fashioned touring, Jason regularly performs around Australia as a solo artist, and he’s managed to develop lasting relationships with listeners both young and old, all finding a connection in his music. Having performed in One Movement Festival, Jason has had the opportunity to develop his own style and grace on stage, while putting on some great shows with some great acts. Always being faithful to the songs, himself and his listeners. 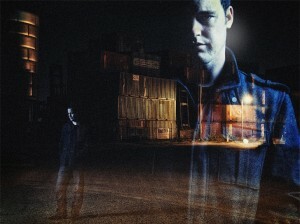 His latest CD “Chasing Ghosts” is out now, and for more info on Jason, click here. 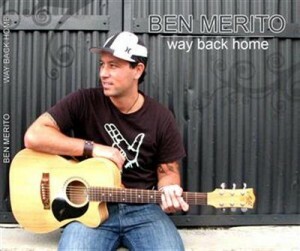 Ben Merito comes from a family of performers and is the youngest son of Gerry Merito, an icon in the New Zealand music industry and original member of the Sir Howard Morrison Quartet. Gerry wrote songs such as “the battle of Waikato” and “My old man’s an All Black” which boosted the quartet into the spotlight in the 1970’s. Ben has more than inherited his Father’s musical talent. Growing up in the Waikato, Ben played the music scene in Hamilton. After finishing University Ben moved to the Bay of Plenty where he became a well known solo artist throughout Mt Maunganui and Tauranga. In 2008, Ben moved to Western Australia pursuing a fulltime music career, headlining the “Spring in the Valley festival”. Ben is now an established solo artist within the Perth music scene. After the death of his Father in January this year, Ben has decided to bring his original music back to New Zealand. Ben is writing, producing and recording his own original songs from his home in Perth. 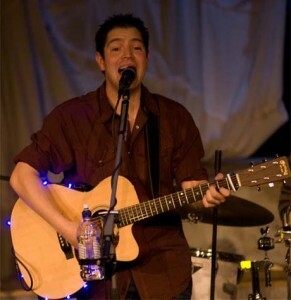 Ben describes his style of music as “acoustic pop/funk/ reggae”. Catchy tunes which have an upbeat groove. Ben has become widely regarded as one of WA’s best acoustic acts, and is well respected in the live music scene. His latest album, ‘Way Back Home’ is now available to purchase from amazon and itunes. For more info on Ben, click here. Tiaryn Griggs is fast becoming a recognised name around Perth. With a sweet and sensual voice combined with her natural jazz piano sound, this sultry singer draws a wide audience and caters to any occasion. After graduating from the prestigious West Australian Academy of Performing Arts, Tiaryn began writing a lot of original music. Her quirky pop/jazz/soul/folk songs have captivated audiences everywhere in venues such as the Ellington Jazz Club, the Flyby Nightclub (supporting ‘Toby’) and many more. The combination of her unique and poetic lyrics, angelic but commanding voice and her deep understanding of harmony and melody produces a set of undeniable creative and moving original music. Tiaryn’s musical talent was discovered at a young age and in 2002 was accepted into the prestigious Perth Modern High School, on a music scholarship. In 2005, Tiaryn went on the schools European music tour to Italy, France and England. It was on this tour that she performed with her peers in front of her majesty, the Queen of England, at Westminster Abbey. Since graduating WAAPA, Tiaryn has been playing around Perth in many cafes, restaurants and bars attracting more and more enthusiastic fans and she hopes to record an EP with her fantastic band consisting of Simon Jeans (Guitar), Karl Florrison (Bass) and Jacob Evans (Drums). Do not miss a chance to experience the music of this rising star. For more info, click here. 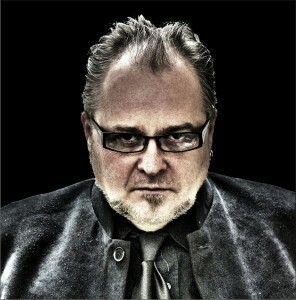 Rick Willsmore (AKA Staccato) has been making up tunes his whole life; some fictional and some about real life. Staccato explores tales about escaping today’s rat race, along with other aspects of life and society. Staccato’s sound has influences of Hip Hop, Brit Pop and Blues to form an engaging blend of uplifting music. Hailing originally from Adelaide before living in USA, UK, NT, and now settling in Perth, Staccato makes music as a means of creative expression. Teaming with Gold Dust Construction on production, Staccato is in the process of releasing his first album and ‘On the Road’ will be the first single. When Rick isn’t making music he is involved with his other passion; tennis. Rick is an accomplished coach and is highly respected within WA’s tennis scene. As Rick is currently in the studio working on his new album, he is not playing any live shows at the moment. Seventeen year-old David Lazarus is an ex-South African who has called Perth, Australia, home for the past seven years. Often described as a young Bob Dylan lookalike, but influenced by the works of John Mayer and Jack Johnson, David’s music – accompanied by his everlasting smile – takes one on an acoustic, rhythmical journey lyrically exploring the everyday joys of life and the simple pleasures we encounter. 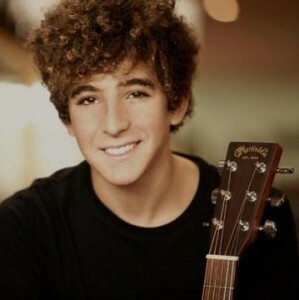 With his unique song writing ability, accompanied by his warm and clear vocals, the Acoustic-Pop-Rock singer-songwriter has achieved a lot for someone so young. After winning gold in the Contemporary Vocal Open section at the North Perth Music Festival, as well as the top prize in the Open Singer-Songwriter category at the 2010 West Australian Music Eisteddfod, David went on to represent Australia at the World Championships of Performing Arts (held in L.A, USA). At this invitational only event, David took out gold in all five age group categories he competed in, as well as three overall combined division winnings. A cover artist of note, David plays an extensive range of songs to suite any crowd – from sixties classics to what’s currently topping the charts. As well as gigging around Perth (most recently playing alongside well known Perth artist “Toby” at Ellington Jazz Club), David recently released his debut EP and is currently writing and recording for his debut album, to be released in 2011. For more info click here. Recently taking out the award for WA’s Best Female Country Music artist for 2010 Connie Kis Andersen is showing just how country music should be played. With a preference for acoustic performances Connie Kis shines on stage with nothing more than her voice and steel string guitar to move the crowd. With a third album released and regular USA tours she has landed gigs at the renowned Nashville Palace, The Bluebird Cafe, Tooties and The Midnight Jamboree. When she isn’t touring Connie Kis is back on WA soil continuing to wow audiences with shows at a wide range of venues around the Perth area. With a bag of accolades to her name including 2008 Best Independent Country Music Album Award for Once Again and an original song charting in the Australian Country Tracks Top 30 Connie Kris is making waves in the country music scene. Zalia has been involved in the entertainment industry for over 3 decades, starting singing and dancing when she was 4 years old. Her experience ranges from blues rock bands to intimate jazz soirees, classical choirs to a saucy duo and acoustic spots at various café’s throughout the lands. She has sung many varied styles with many different bands. Cutting her teeth on blues and rock, she joined the soul band CJ & the T Horns and sang in the tribute bands of David Bowie (Scott James) and Pink Floyd (Pulse). Having the creative drive, she has collaborated on many different original projects performing live and recording – the latest being for visiting Indian Sikhs for their Sacred Hymns Album. Zalia has played in acoustic duos throughout Western Australia, playing guitar and singing both lead and harmony vocals (Zulu Ant, Lemmon & Bicardi, Tongue ‘n’ Groove, Oracle, Norty & Saucy, Fromage). She has won a few competitions in singing: 2004- Subiaco Song Competition; 1998- Paddy Hannan’s Karaoke Competition- Burswood Casino WA; 1994- Original song competition, James St Nightclub “Rainbow Blues”. Currently, Zalia is singing and playing acoustic guitar as a solo performer. She has recently become in demand to perform at special parties, singing the birthday person’s favourite song and giving intimate 1 hour performances to the party. Her aim is to create and communicate that which touches and moves people, embedded in the belief that music and performing is about the audience, not the performer. She performs with the point of view that I AM YOU. For bookings, click here. 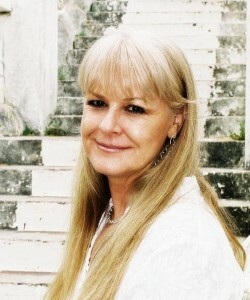 Performing since her teens, Jo Bacon has entertained people of all ages: From 50th birthday parties and 21st birthday parties; to weddings, Christmas functions, cocktail parties, corporate functions and teambuilding events. Jo has performed for the likes of MTN, Public Service Association, Rotary Club, Fourways Mall, Fourways Gardens, Gateway Shopping Centre, Roodepoort Botanical Gardens & Monte Casino to name but a few. Her beautiful voice reaches everyone at the function and her vivacious character has people on their feet. Jo performs a full spectrum of music. Whatever you require, she has it. With repertoire that stretches from Rock And Roll (Elvis) to the Beatles – through to the latest country (Shania Twain), contemporary pop (Celine Dion, Madonna, Avril Lavigne), blues (Cheryl Crow, Mesi Gray) to rock (Pink, Anastacia). 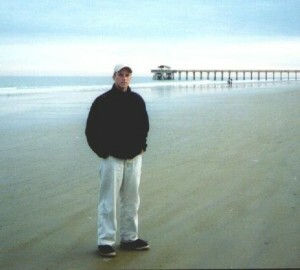 In 1990 Jo lived in California and was the lead singer of The Ruminators. In 1993 Jo returned to Zimbabwe and performed in a musical ‘The Beatles’ and won her first award at Reps Theatre for ‘Best First Performance’. She then went on to release her first single – One To One – through Gramma Records. Due to public demand, Jo recorded her second single which was released in 1996 entitled – Fly. Fly reached the top ten in the local charts. In 1999, Jo recorded and released her first album entitled Train Ride. In 2002 Jo signed a publishing deal with BMG Publishing RSA and has had several of her songs placed with local artists – Wings to Soar – Jo Dan. Take It All Away – DKN, Fly – TK. 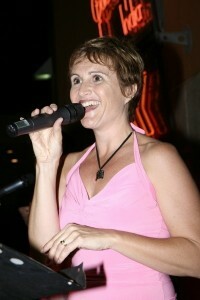 As Jo is a songwriter, she can compose a catchy theme tune for YOUR function. Jo continues to perform, entertain and dazzle audiences worldwide. 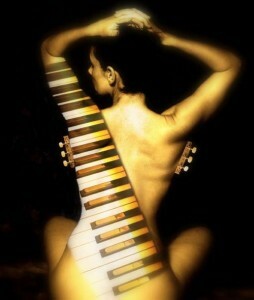 She is capable of performing with a two piece, five piece or ten piece band if necessary. Josephine also has her own PA system for small and large functions. Josephine can travel to any venue you require. She is a definite must at your next function! For bookings click here. Dave Gillam is relatively new to the Perth music scene and is already leaving his mark. After drumming with a few local acts, Dave found the desire to perform his own original work too strong, so he formed On the Level. It didn’t take lomg for O.T.L to start getting some hype and it soon became regarded as Perth’s premier boogie band. At the end of last year, Dave started playing with different styles of music. “Don’t get me wrong, I still love to boogie, but lately I’ve been writing a different style of tune,” explains Dave. Thus the newly formed Dave Gillam and the Motif Band was conceived. Dave has gone for a more Bluesy Rock/Jazz vibe with the Motif Band, and so far the response from fans and gig goers alike has been more than impressive. Spearheaded by Dave’s vocal prowess, Motif also has guitarist Steve ‘Salty Dog’ Salt, drummer Daniel Barwick and double-bassist Adam Springhetti. Look out for this exciting new band, they are on the right track for great things! For more info on Dave and his affiliated bands, click here. AARON started his musical career as a big-band trumpeter and swapped to electric bass at Uni, completing his Bachelor of Music (jazz) with Honours on that instrument in 2007. Since then Aaron has performed with Ben Lee and WASO, Kate Ceberano, and David Campbell; presented a tribute to fusion band Weather Report with his own quintet; and supported Leo Sayer, Jenny Morris, Vanessa Amerosi, Old Man River and Rick Price. Based in Perth, Aaron appears with numerous jazz, funk, latin, rock groups and big bands – among them the Western Australian Symphony Orchestra, WAYJO, the One For All Big Band, The Will Udal Band, local cover band Slim Jim and the Phatts, The Biancha Jade Group, Graham Wood Trio, The P Family Funk Allstars, and jam band The Fix. For bookings click here.